It's in perfect condition and Great for you Display of your Halloween Items. 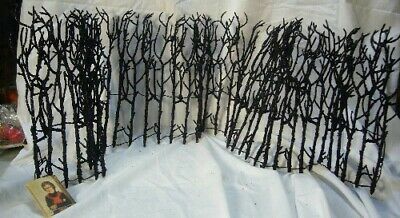 I also took my spooky twig fence and spray painted it brown and also sprayed the top part with fake snow. It made a great backdrop for my Santa collection! Use for many years to come. Bethany Lowe Halloween Vintage Skull Lantern plus C-7 light!